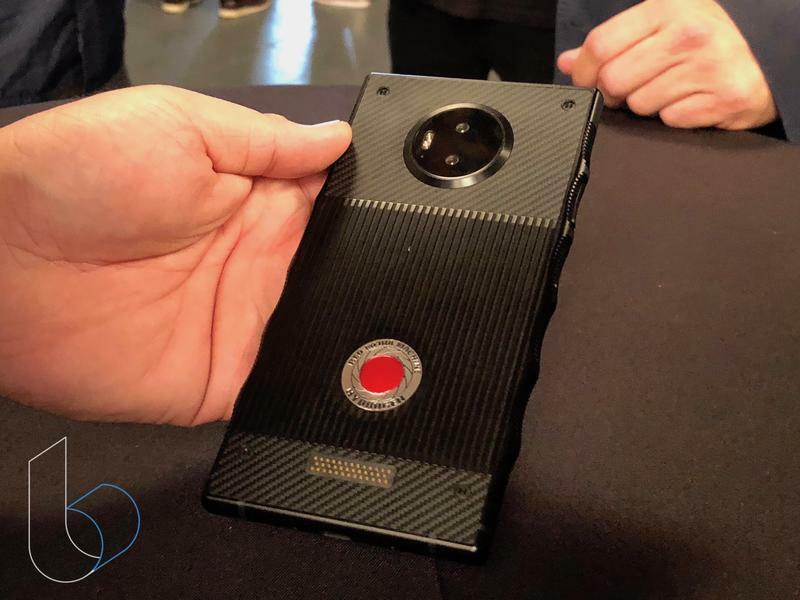 RED is best known for making high-end cameras, but it wants to enter a new market with the introduction of its first ever smartphone – the Hydrogen One. 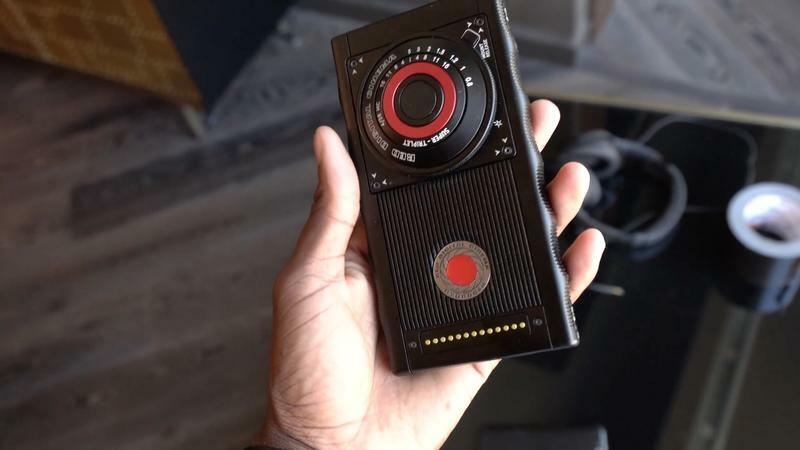 Announced last June, the Hydrogen One has been a mythical relic ever since, with only a few images and a video from YouTuber MKBHD to give us a glimpse of the device. 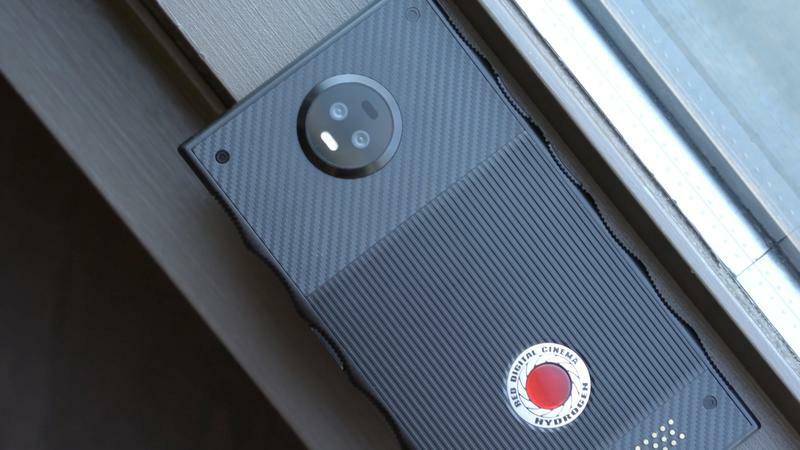 Over the weekend, RED held an event to remove the mysterious veil around its smartphone and show it off to the world – kind of. 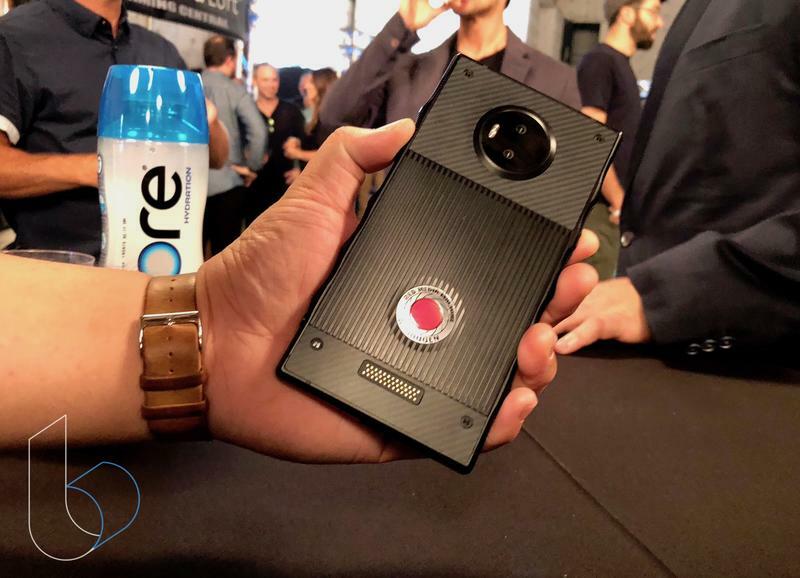 The event, held in RED's West Hollywood studios, only partly showed off the Hydrogen One. 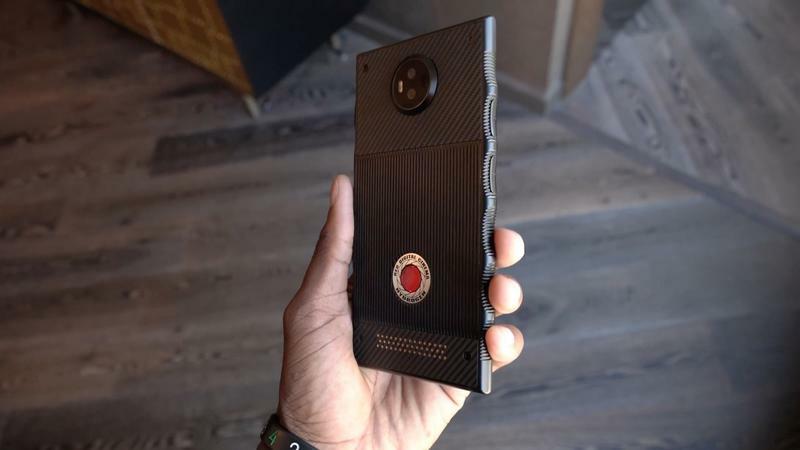 There were demos showing off some of its capabilities and a few prototypes floating around with key RED personnel, including CEO Jim Jannard, in which press were allowed to take pictures of the smartphone. 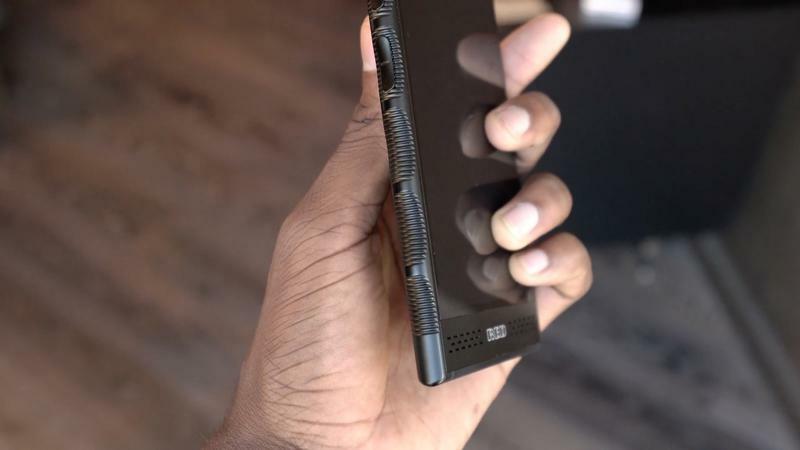 Even at that, we were only allowed to take pictures of the back of the device with the screen was completely off. 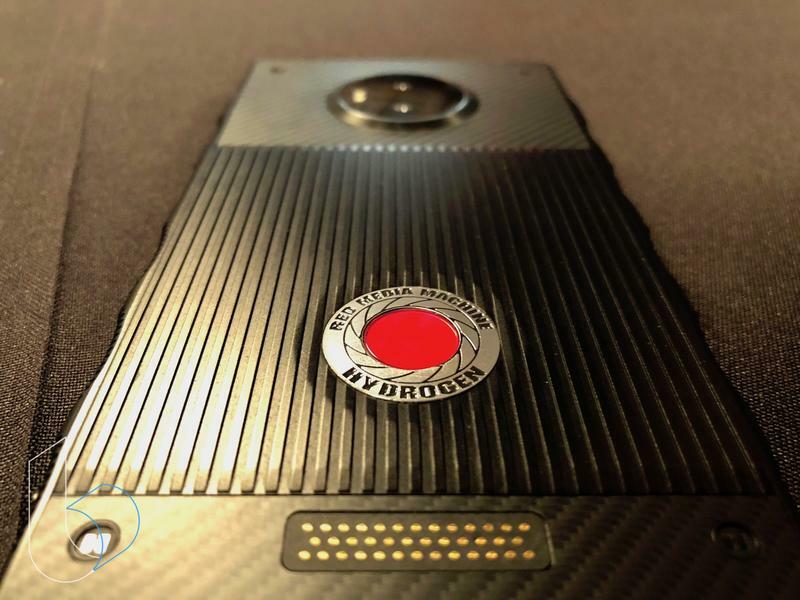 That gives us a very good understanding of how protective RED is of the Hydrogen One. 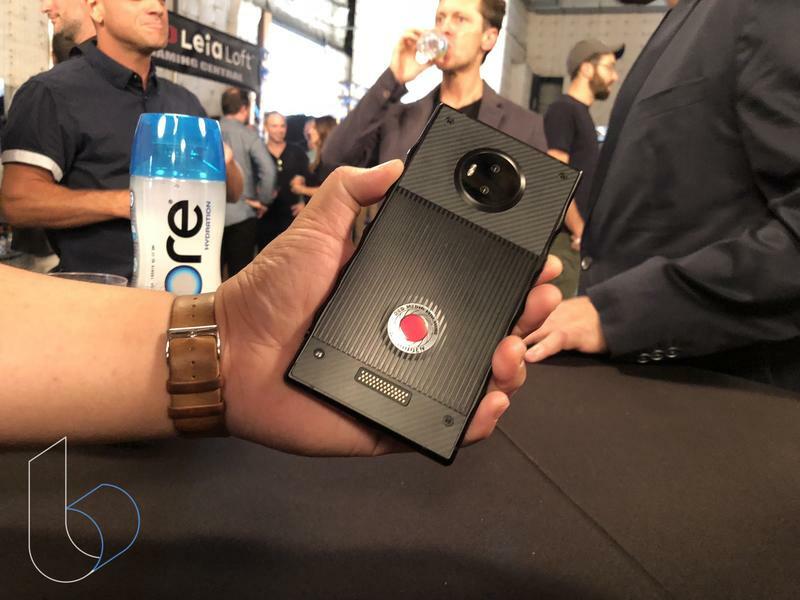 While speaking to the crowd of reporters and guests, Jannard stated that the device is still very much in the prototype phase. 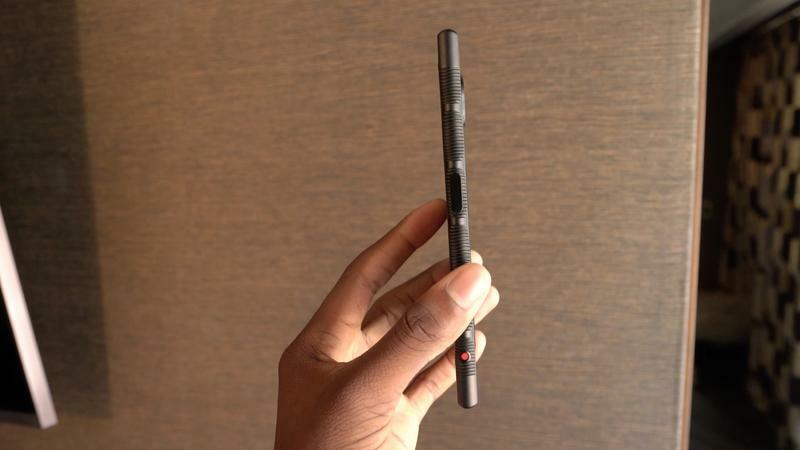 In fact, there are still three more prototype versions left to be made before it enters pre-production. 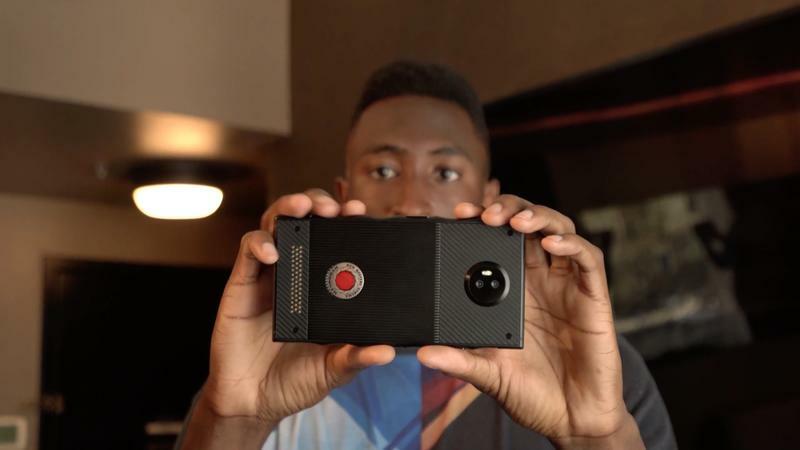 He also made it clear he wants the first experience people have with the phone to be in person, not through a video. 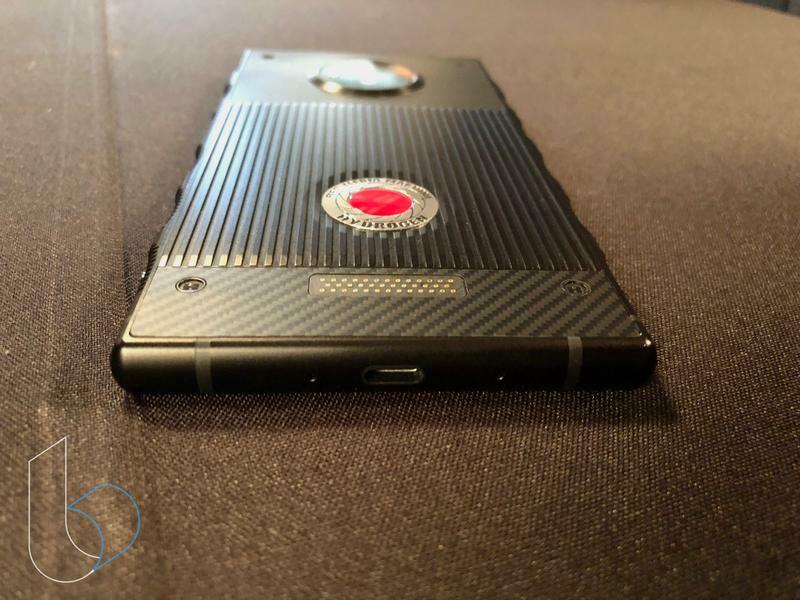 The Hydrogen One is one of the most ambitious jumps into the smartphone market we've seen. 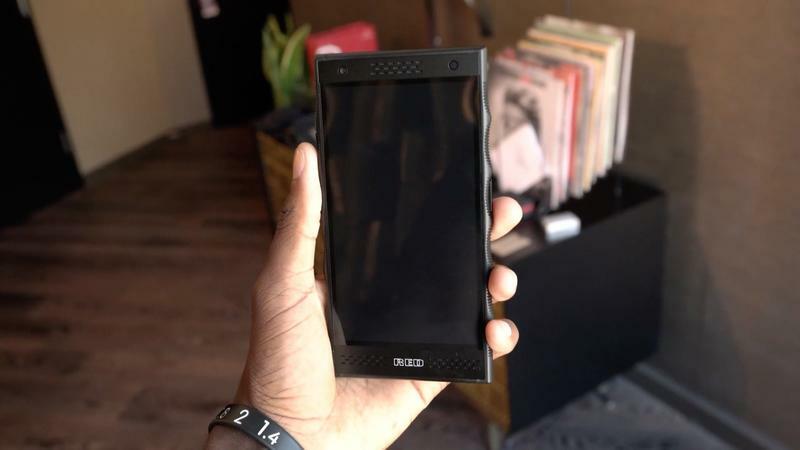 Look no further than its industrial design that ignores the trends of smartphone design. There is no gorgeous glass on glass design here; it's just a brute piece of metal. 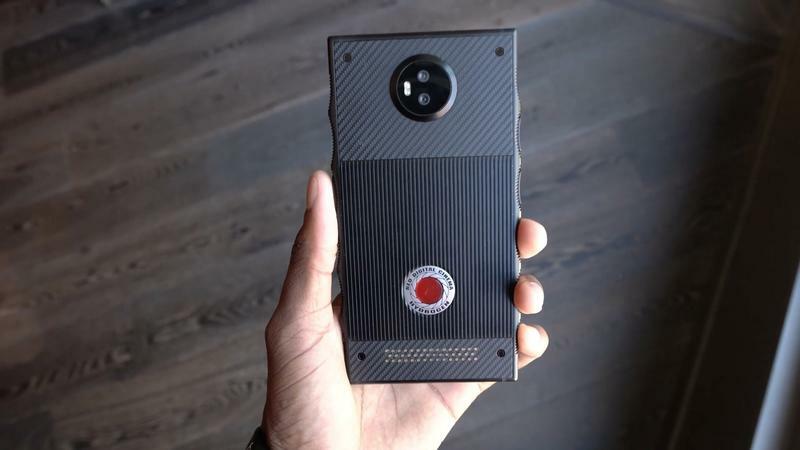 RED made two versions of the Hydrogen One: an aluminum model ($1,195) and a titanium model ($1,595). 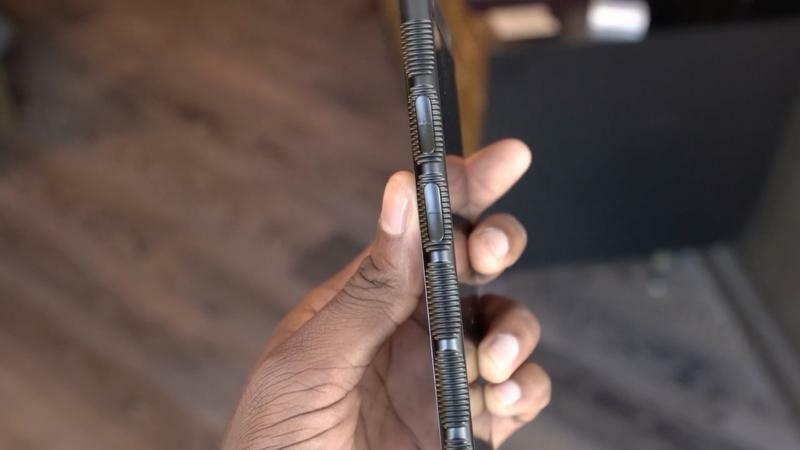 Both feature the same design, all metal with a few trims of kevlar, with the only major difference being the aluminum is all black and the titanium has a silver finish. 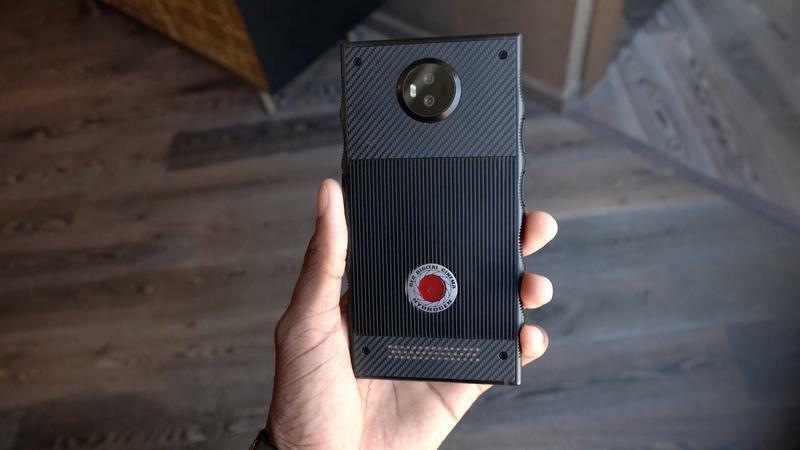 When RED initially announced the Hydrogen One, it stated it would come with a Snapdragon 835 processor and 4,500mAh battery. 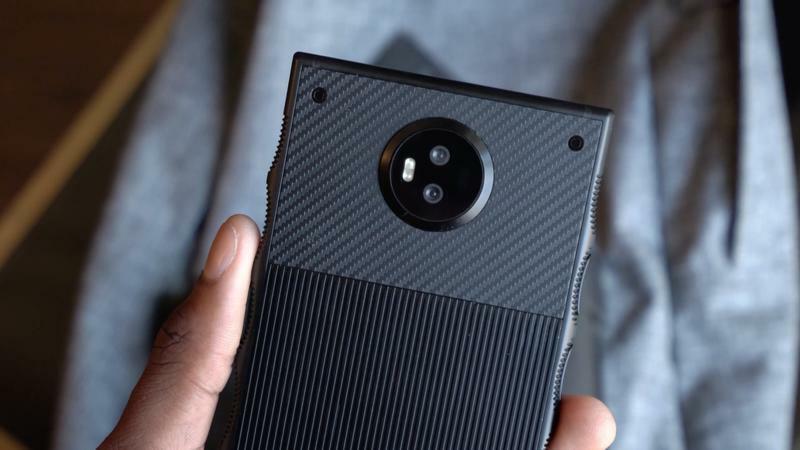 It didn't elaborate on any other specs during the event, specifically whether it will put in a more recent processor on the production model. 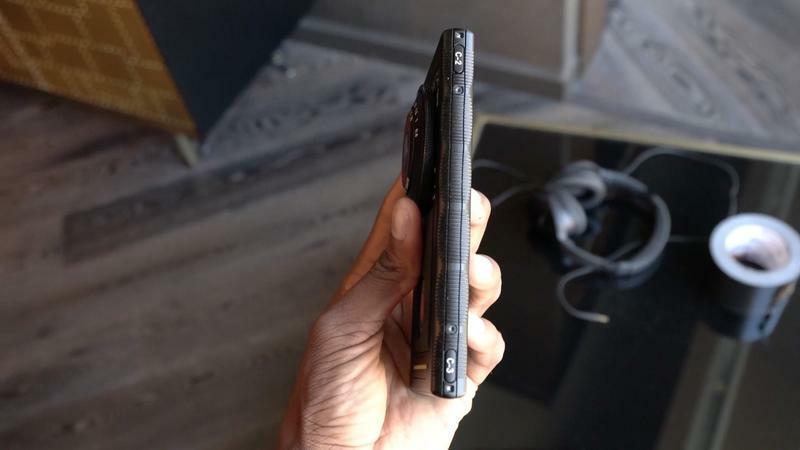 I got to hold the Hydrogen One in my hands and it feels as robust as it looks. The side ridges don't feel as awkward as I thought they would, but the front bezels are as a big as I feared they were. 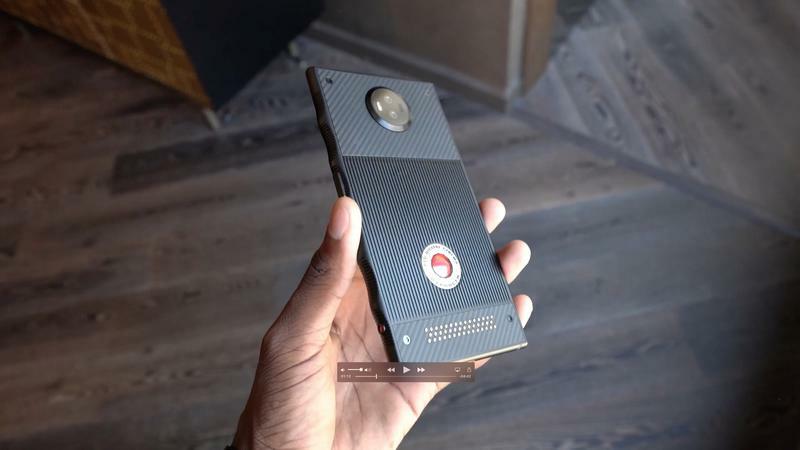 They house a lot of empty space, two stereo speakers and two front-facing cameras that will be important for the 4V holographic content. I didn't get to play around with the display too much, but what I did see looked terrific on the 2,560 by 1,400 OLED panel. 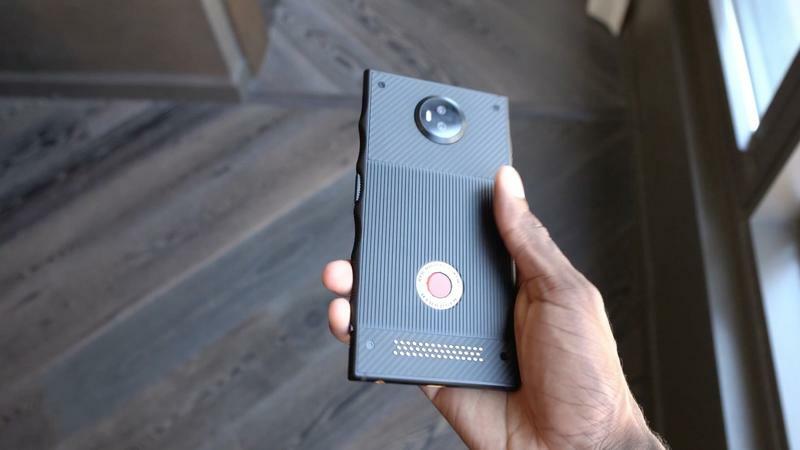 The display will be responsible for delivering the much-talked about 4V holographic content. If you know nothing of the phone, this will likely be the feature you will hear most about leading up to its release. 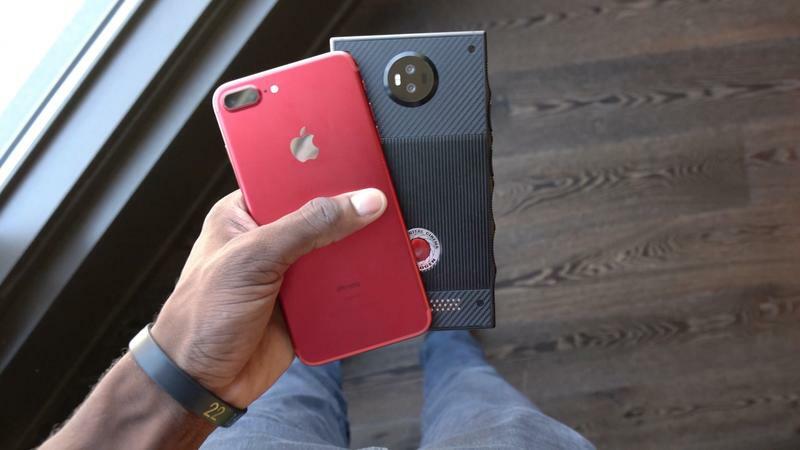 It was the one feature RED heavily pushed during the event. In one demo, a three minute video was played where we got to see the full capabilities of this content. I came away both impressed and disappointed. 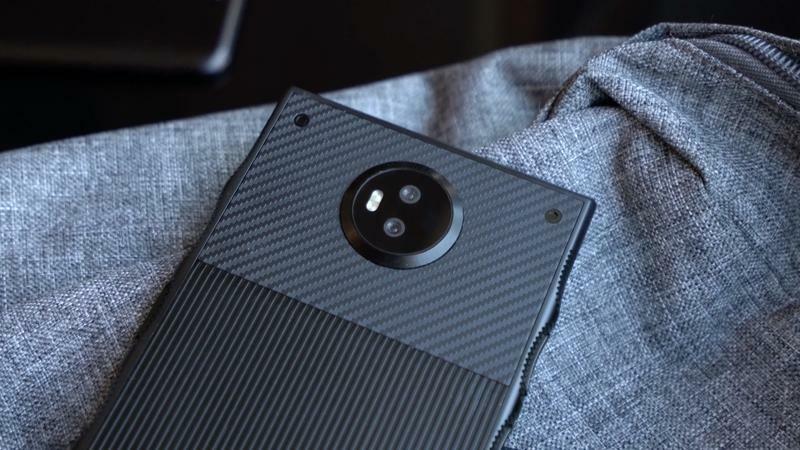 The 4V content looks unreal; it's an experience I can only equate to what 3D phones wanted to do, but much better. Objects flying around levitate from the display, creating an interesting sensation. However, in delivering 4V content, resolution takes a big hit. RED did not give specifics, but by my calculations, it's somewhere around the 720p range, where pixels are easily distinguishable. It's not a deal breaker, just something worth considering as downgrading from the display's full QHD capabilities to 720p is hard to miss. 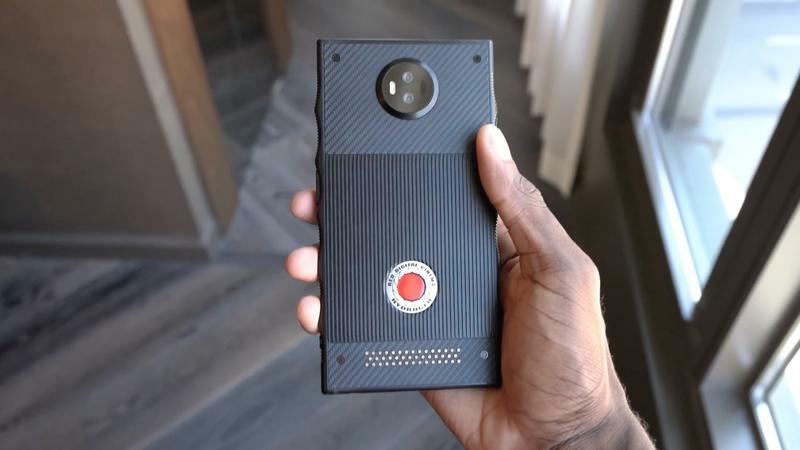 Concurrent with the launch of the Hydrogen One, RED is launching The Hydrogen Network to deliver 4V content to users. Whomever wishes to upload content, be it a major studio or independent content creator, can upload their videos through the browser or app and will see their video converted automatically. During the demo of the holographic content, I was surprised by how good the speakers are. 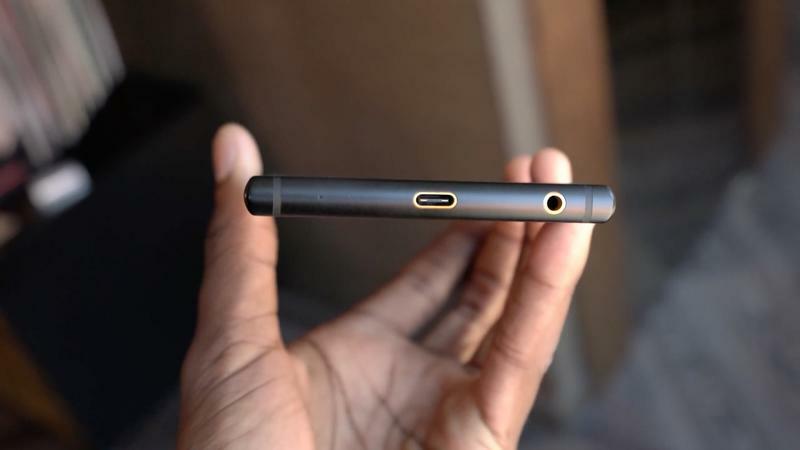 And they should be; they are dual stereo front-facing speakers that will deliver crisp audio through a medium slowly being eradicated. 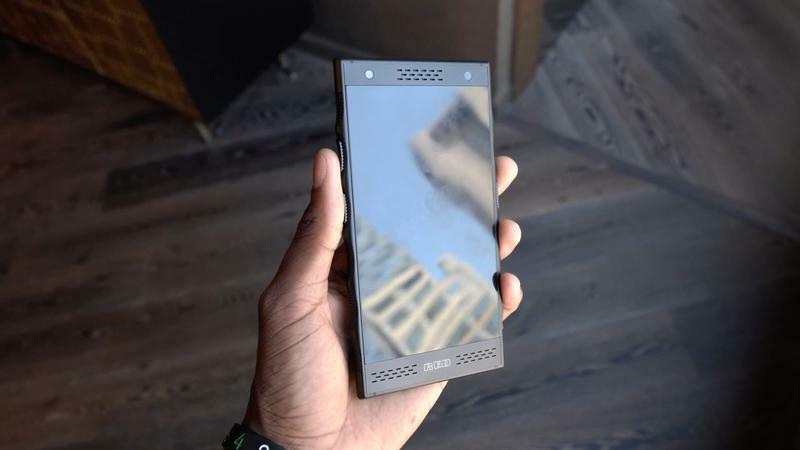 Only a handful of phones have the feature, and that number is sure to decrease as displays occupy more of a device's front panel. RED is very aware of this, and it's touting the speakers with pride, dedicating a demo area exclusively to talking about it. There was also a video chatting demo that showed off how the holographic display would work in more normal situations. In the demo, I could see myself popping off the display as well as the person I was talking to across the room. Seeing the feature in action, it's pretty cool that RED is expanding beyond just watching video content, but I question how useful is it aside from an quirky option to use before going back to normal video chatting. 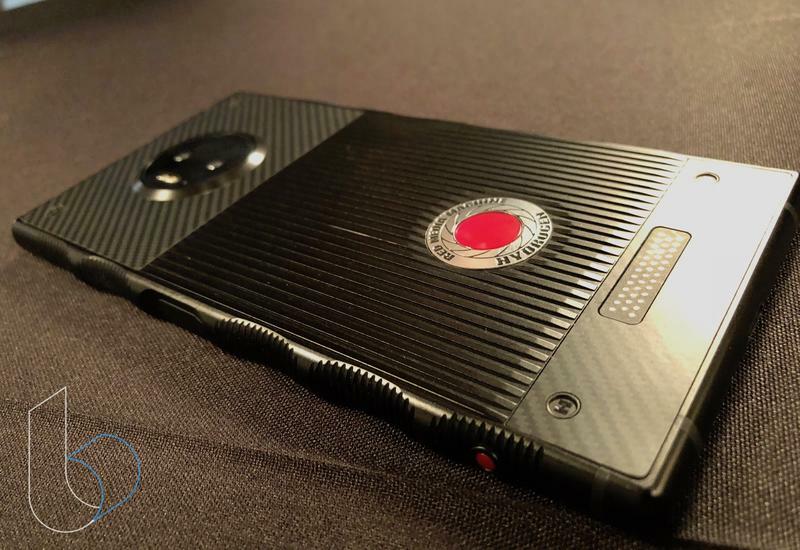 The other trick the Hydrogen One will feature is external mods that will attach to the phone via pins on the back, similar to what we've seen with Moto Mods. 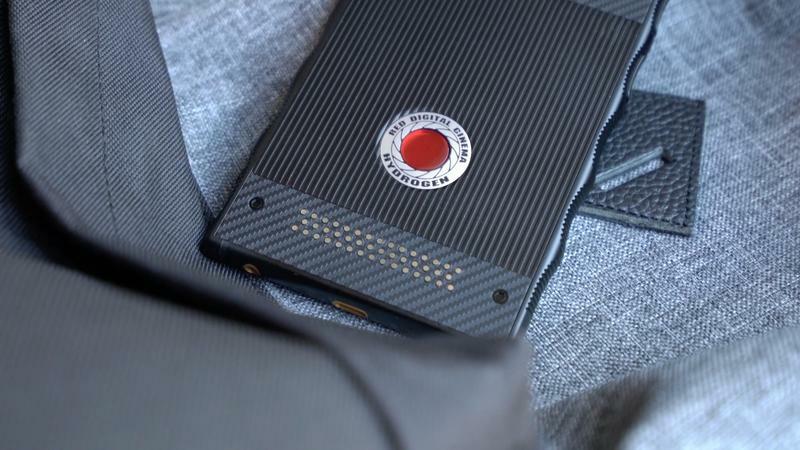 RED is taking on a new approach, focusing more on professional grade mods like true DSRL quality camera attachments instead of battery packs or projectors. We've only see one of these mods so far, and it's an imposing camera mod that looks like it'll capture some terrific content. Unfortunately, it was not available to test out during the event. 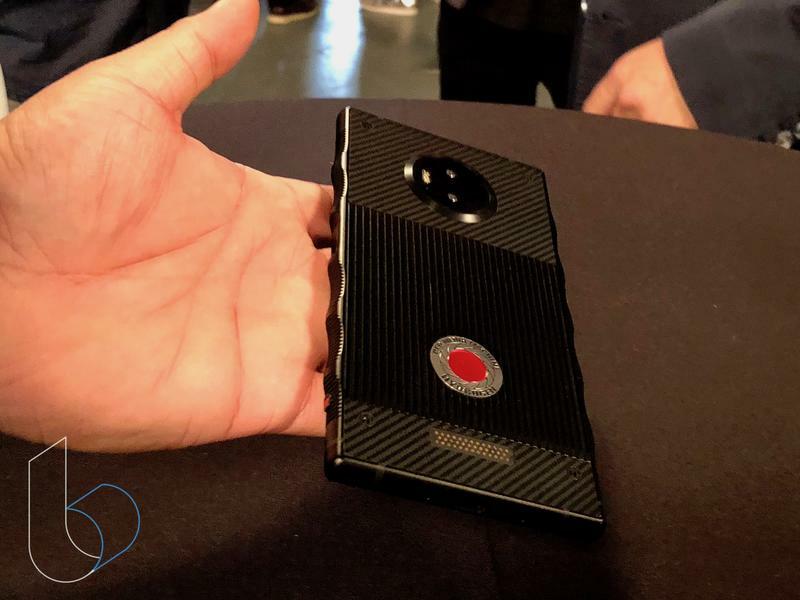 The event wasn't a launch, but more so a preview of what we can expect of the Hydrogen One when it arrives in August. RED still didn't disclose a specific date for when that will be. 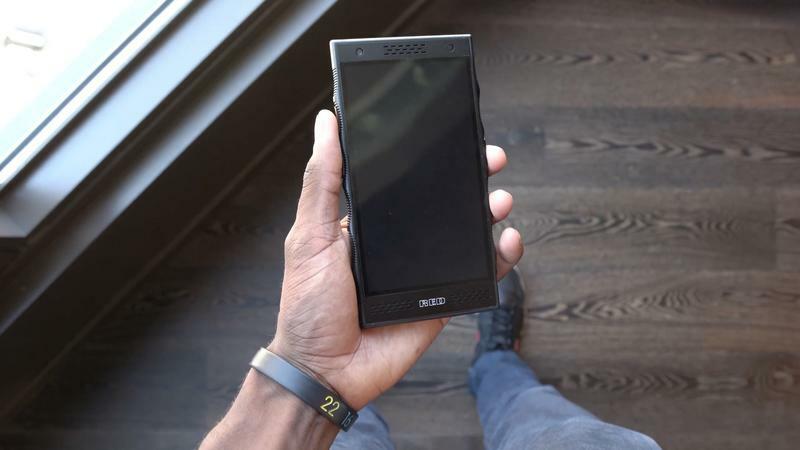 When it does go on sale, it'll be available through AT&T and Verizon. 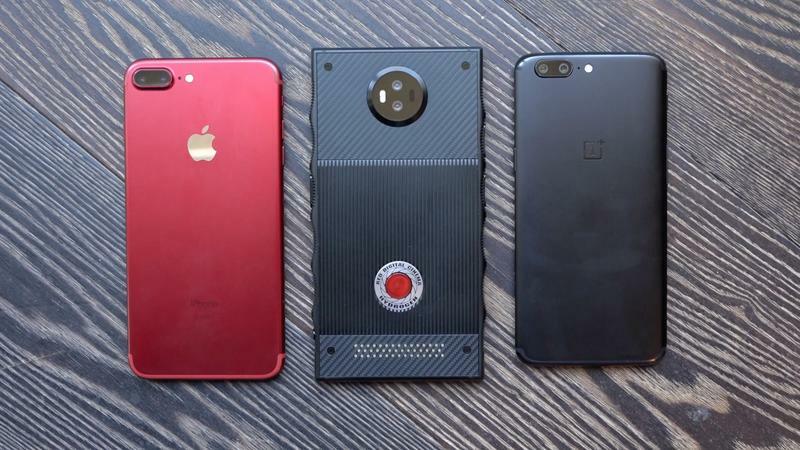 It'll be an interesting experiment to see if RED can manage to breakthrough in the smartphone market against the likes of Apple and Samsung.